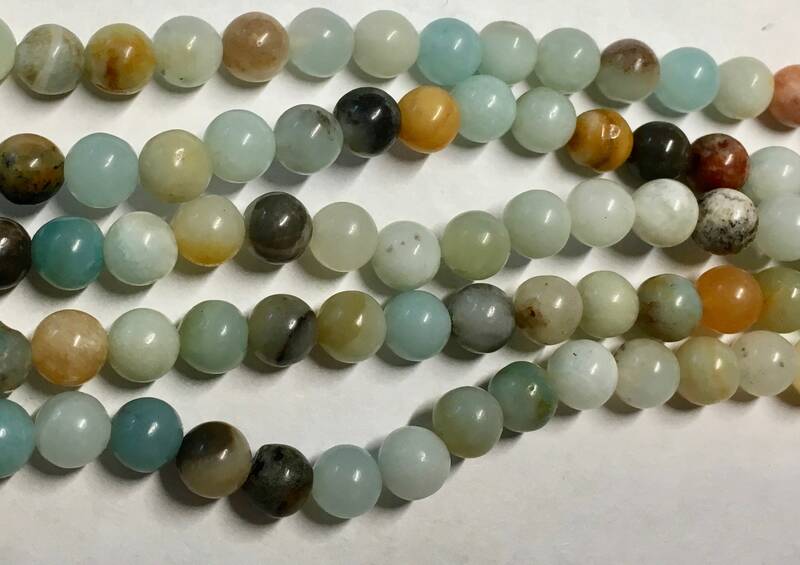 Beautiful amazonite multi colored smooth round gemstone strands. Each strand is a bit different, but lots of color play! There are approx. 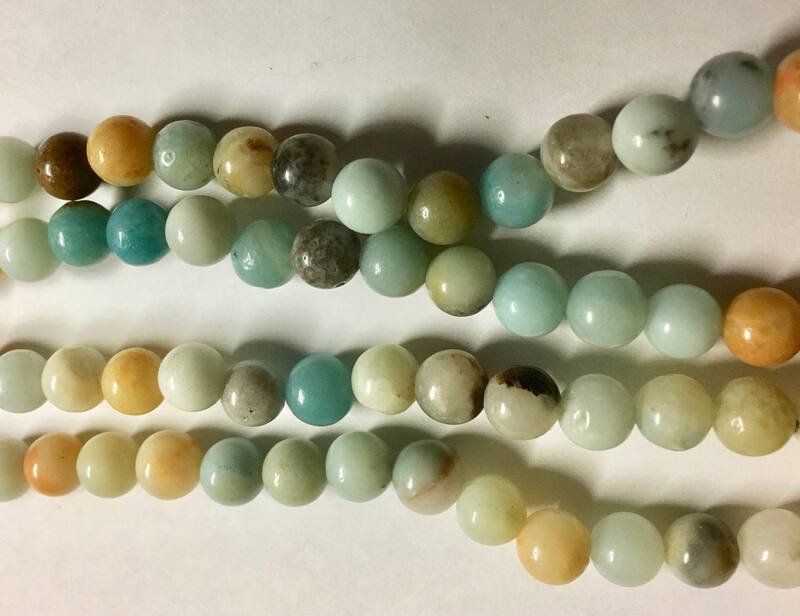 32 beads per 8 inch strand.